Today we are thrilled to unveil the cover for The Seeker Star, the new upcoming novel from Smuggler fave Susan Jane Bigelow. The Seeker Star is the second book in the Grayline Sisters trilogy, following the excellent The Daughter Star. Without further ado, behold: the Smugglerific Cover! Thank you so much to the amazing Book Smugglers for hosting this cover reveal, and this guest post. It means the world to me! It’s hard to know where to start talking about THE SEEKER STAR, the second book in the Grayline Sisters trilogy. This book had a difficult birth; it evolved from a simple continuation of Marta Grayline’s story in THE DAUGHTER STAR into the second piece of a trilogy about three sisters, each with a book from their point of view (Beth gets the next one). But the real starting place for this story is something that keeps popping up in what I write: infertility. In the Extrahumans series pains are taken to ensure that captive female extrahumans can’t breed more of themselves—only Penny Silverwing, with her marvelous healing powers, is able to overcome this. Jill and Emily are not so lucky. I also recently wrote a short story called “Sarah’s Child,” which you can see over at Strange Horizons, that was all about the what if of a childless life. That one grew out of a dream of children that I couldn’t shake for weeks. But Violet’s story was the first one where I really tried to sort out my feelings on it. I can’t have children, I can’t get pregnant; I don’t have the bits for it. Do I actually want kids? I don’t know. But that potential—or lack thereof—is all bound up in what it means to be a woman in this society, and there are days where I can feel the weight of it dragging behind me. Violet has to confront this head on. In the opening pages of the book she discovers she’s infertile, which in her hyper-conservative and deeply sexist society means that she is labeled as essentially useless. Her life comes crashing down around her, everyone turns away from her, and she has to figure out what to do next. She has to create her own meaning of who she is, why she matters, and how to build a life outside the lines. Being a Grayline, of course, she does this in a spectacular, world-shattering way. That’s why I like this cover. It’s so haunting in a way that really reminds me of Violet’s early melancholy, and her introspective nature. This is a book about quests, family, justice, faith, and change, but at its heart it’s all about Violet’s inner journey, and the cost she must pay to be herself. 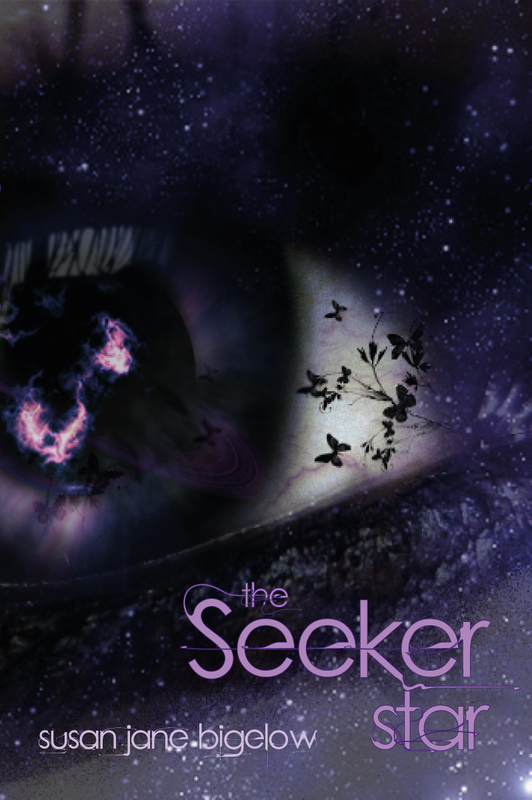 I do hope folks check out THE SEEKER STAR, which is due out this November from Candlemark & Gleam! 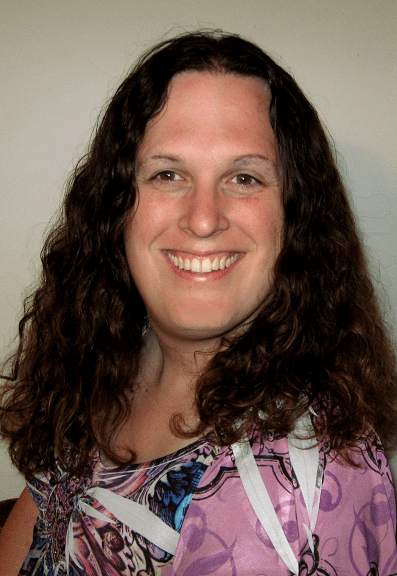 I’m a librarian, SF/F author and political columnist, among other things. I write on what might be called “a range of topics,” from politics in Connecticut to memoir-ish nonfiction to science fiction/fantasy stories and novels. I’m in my mid-30s and live in Enfield, Connecticut with my wife and cats. I started writing science fiction when I was little, but my first actual published novel was 2011’s BROKEN (Extrahumans #1). Since then two more Extrahumans novels, FLY INTO FIRE and THE SPARK, have been published. The first book in a new series, THE DAUGHTER STAR, came out in May, 2013. I’ve also had short stories and some nonfiction writing published, as well. Find out more about Susan Jane Bigelow and her books on her website, or follow her on twitter (@whateversusan). To celebrate the cover reveal, we are giving away 3 digital copies of the first book in the series: The Daughter Star! This giveaway is INTERNATIONAL, and will run until Saturday, August 23 at 12:01am EST. To enter, use the form below! Love the cover, can’t wait to read the book. Susan Jane Bigelow is another author I have heard a lot about and wanted to read for awhile, but haven’t yet. Hope to change that soon! I do like the cover. Maybe a touch too dark, but intriguing (and pretty!). I need to read the first one first but it looks interesting. Beautiful, eye-catching cover! I will be looking for this one . . . I totally agree about the cover. I haven’t read anything by this author, but this series sounds great and that’s a beautiful cover.